With all the conveniences and indulgences of the 21st century. Plan the family vacation of a lifetime in this marvelous 5-bedroom estate with pool and golf course. Explore the details here. 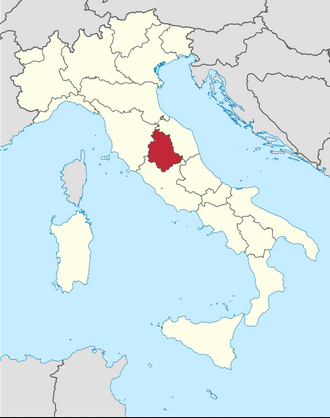 Just east of Tuscany and north of Rome, Umbria is "Il cuore verde d'italia" - the green heart of Italy. There are wineries, hill towns and ruins to explore. Plan your adventure by clicking here. Our wine is made exclusively from the grapes grown at Podere Calzone, and replicates the soil, sun and exposures present at our unique location. We typically produce only three or four thousand bottles each year. To find out more, click here.